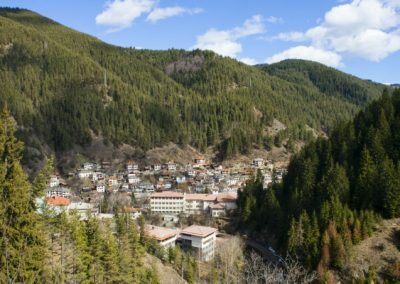 (Bulgarian: Широка лъка, “wide meander”) is a village in the very south of Bulgaria, located in Smolyan municipality, Smolyan Province. 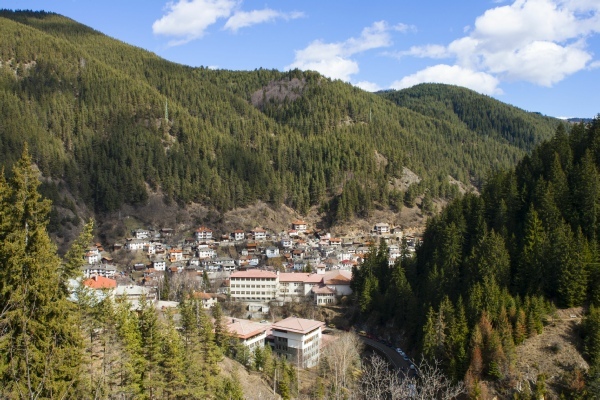 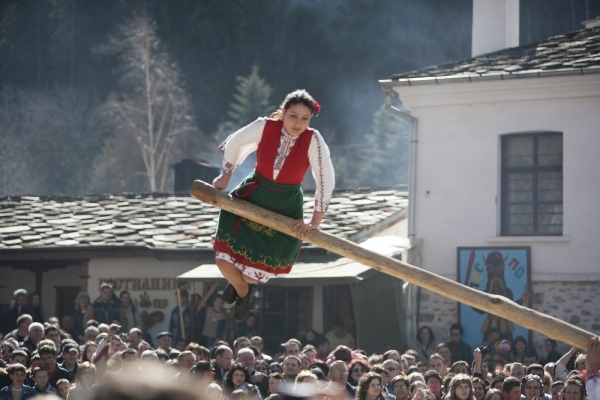 It is a proclaimed architectural and folklore reserve and lies in the central Rhodope Mountains, 23 northwest of Smolyan, 16 km from Pamporovo and 22 southeast of Devin. Shiroka Laka is famous for its authentic Rhodopean houses set in tiers on both banks of the local river. 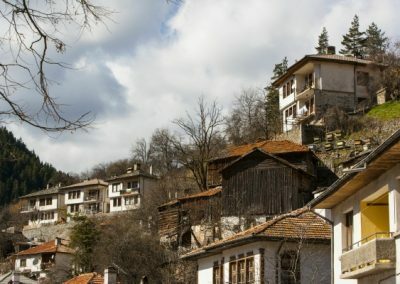 The old houses were designed in the characteristic architectural style of the Rhodopes by the noted local building masters, and feature two storeys, oriels, built-in cupboards and a small cellar with a hiding place. 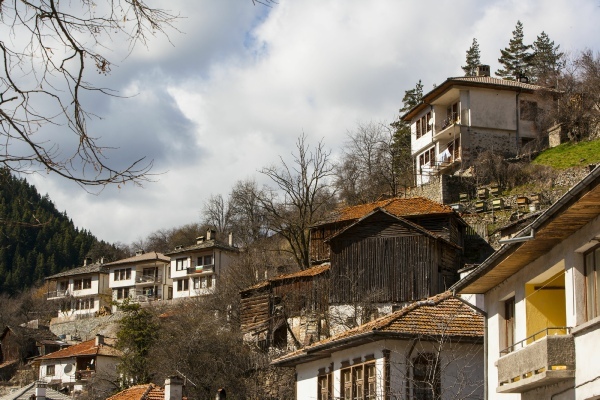 The thick white walls hide the yard from the outsiders’ eyes. 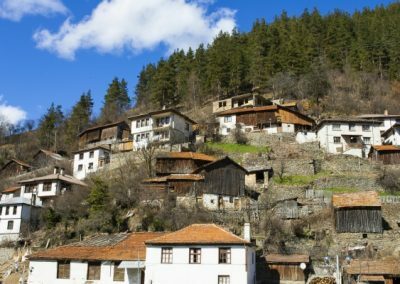 The yard is small and slab-covered and has a typical stone drinking fountain in the middle. 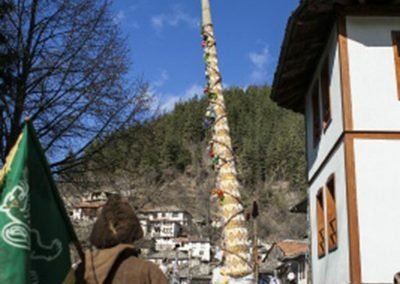 Shiroka Laka is known not only for its old Bulgarian architecture, but also for its singing tradition and the kaba gaida, a local type of bagpipe. 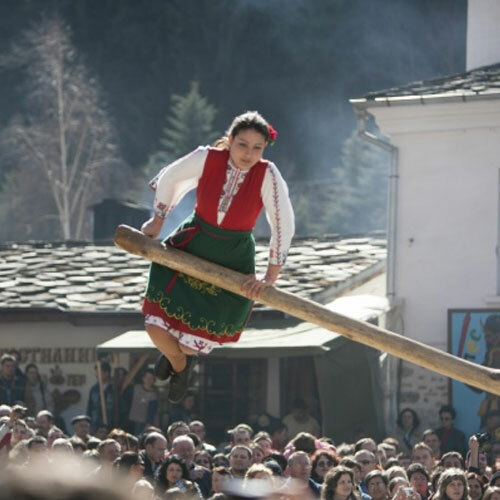 Some of the most prominent singers of Rhodopean music stem from the village, and many of the local families are well familiar with the style. 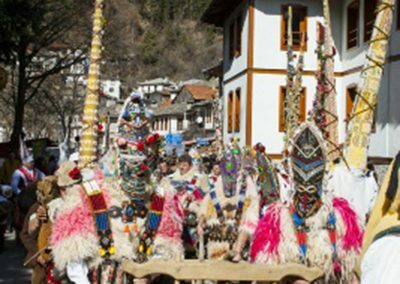 A secondary school for folklore songs and instruments was founded in 1972. 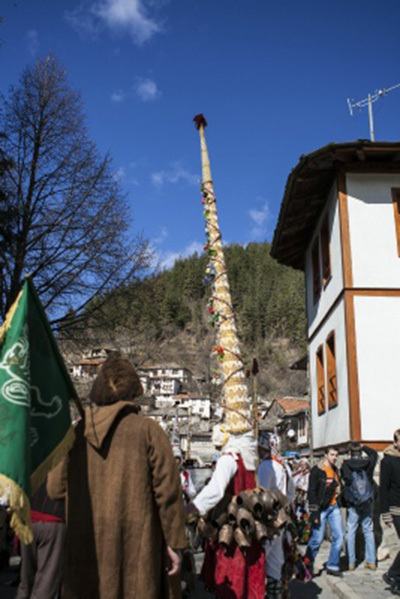 On the first Sunday of March, the village also hosts one of the best known kukeri (specific Bulgarian type of carnival) celebrations in the country, Pesponedelnik as it is called. 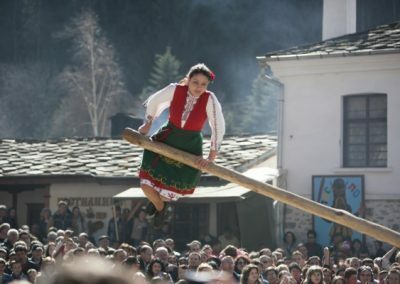 On that day, people dressed as folklore monsters, carrying wooden swords and painted red, dance around the village to drive the evil spirits out of the homes and the peoples’ souls. 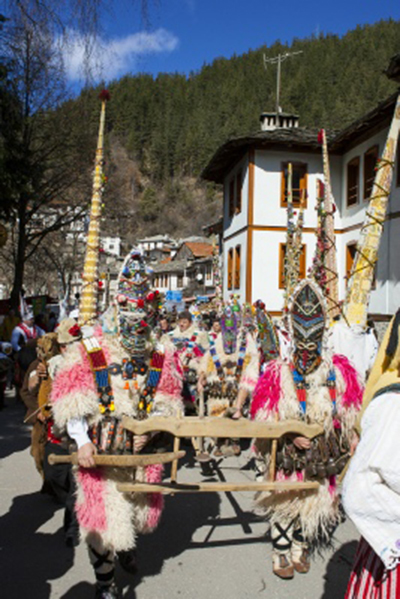 Their costumes are decorated with bulbs of garlic, beans and peppers and they wear a belt with characteristic Rhodope bells attached to it.